Celebrated as one of the world’s most beautiful and serene boating locations, it’s fair to say Desolation Sound in British Columbia bears no resemblance to its unappealing name. 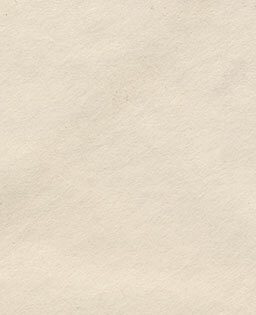 But that was the assessment of British Naval officer Captain George Vancouver when he arrived in a particularly dreary spell of weather in the late 1700s. Had he been on a NW Explorations flotilla in the fall, he may instead have chosen a name like Enchanted Sound. The stunning beauty of the wilderness here teems with wildlife, alongside spectacular fjords, bathtub-warm bays and majestic waterfalls. Nature has perhaps never been as generous as it has at Desolation Sound. 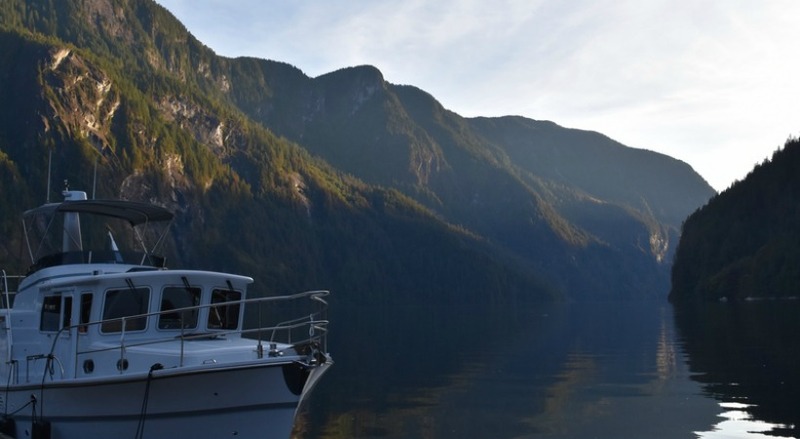 NW Exploration’s Desolation Sound cruising flotilla is a two-week adventure for mariners who can’t get enough of the prolific scenic wonders and magnificent vistas that stretch out just beyond the bow. So, when’s the best time to go? 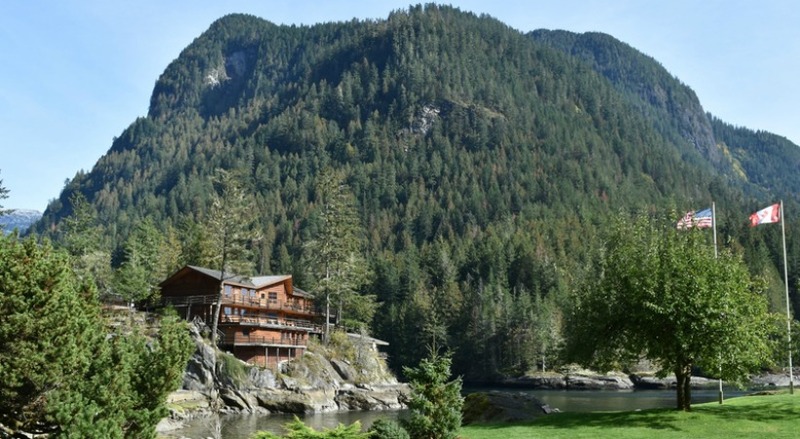 September provides sunny skies, multi-coloured fall leaves and the warmest water in the Pacific Northwest, as well as the secluded anchorages you won’t find during the bustling high summer. With so many incredible sites along the route, each stop seems to be even more jaw-dropping than the last. 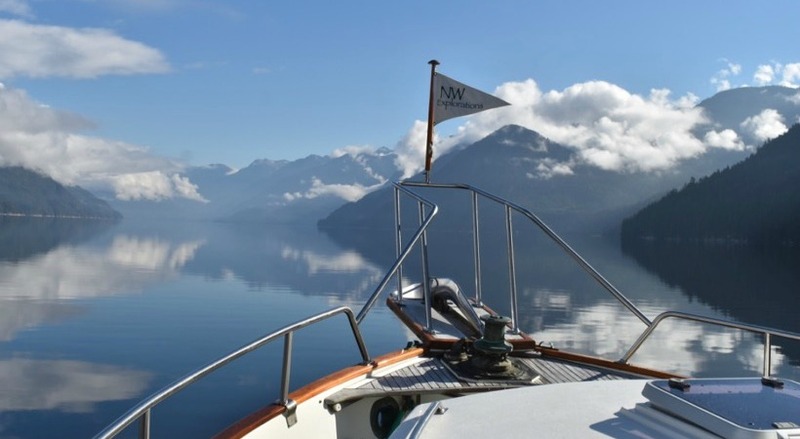 This gem, known as “the most beautiful anchorage in the world” is at the head of Jervis Inlet. Its unique ecological system is the only example of fjord land on the Pacific Coast. 7,000-foot granite cliffs rise in grandeur from the sea, and in early summer, dozens of waterfalls cascade over the edges. Traditionally named swiwelát, Princess Louisa Inlet is almost completely enclosed and is 1,000 foot deep. Walking trails lead hikers to scenic viewpoints, while the spectacular park contains campsites, a ranger cabin, picnic shelter, and toilets. On the southwest coast of Vancouver Island lies the quaint and culturally-rich town of Chemainus, renowned worldwide for its outdoor gallery of larger-than-life colorful murals painted on buildings around town. 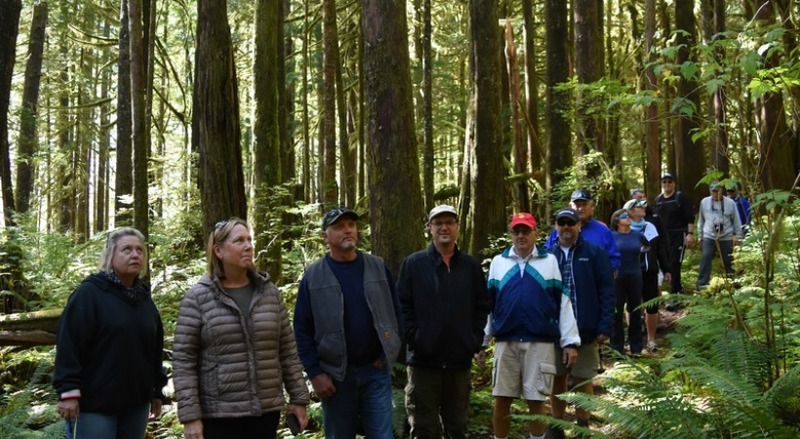 The idea has revitalized Chemainus and inspired other communities. It also possesses a colorful culture and history. The Cowichan Valley has been home to The Original First Nations peoples and their ancestors for countless generations. Mining, fishing and forestry were the original industries that gave work to early Chinese settlers. Later, Japanese and East Indian migrants arrived, blending their cultures with Scots and Germans. Some of the murals reflect the stories of its early inhabitants and pioneers, giving visitors a vivid insight into the beating heart of the town. 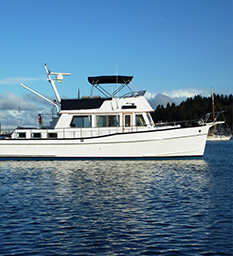 Chemainus also offers spectacular live theatre, as well as diverse dining and recreational options, offering something for every guest on the Desolation Sound flotilla. 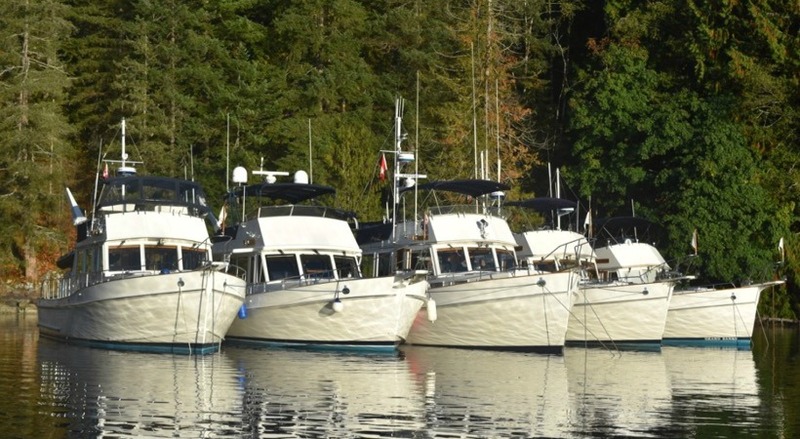 As one of Desolation Sound’s most scenic anchorages, Prideaux Haven had to be included on the list of must-visit destinations. 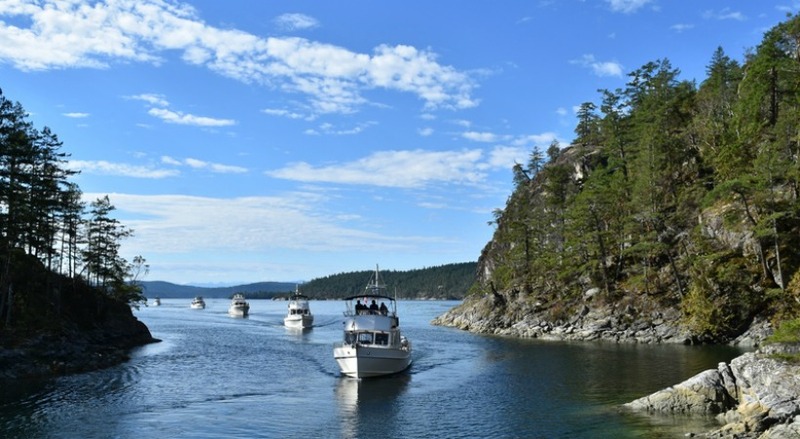 Surrounded by numerous islands as well as a myriad of bays and interconnecting coves, this well-protected provincial marine park is a true wonder to cruise. 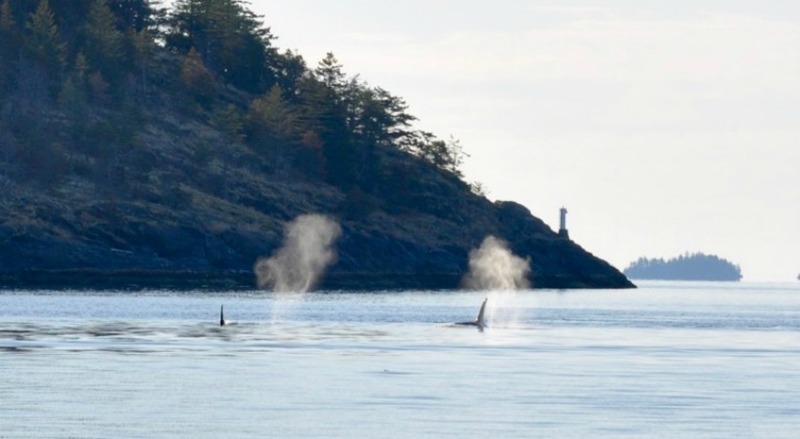 With the backdrop of the rugged BC coastal mountains, these islands provide excellent protection from weather and priceless photo opportunities. The warm salt waters make it idyllic for swimming, snorkeling and kayaking. Contact NWE to book your spot on the flotilla!